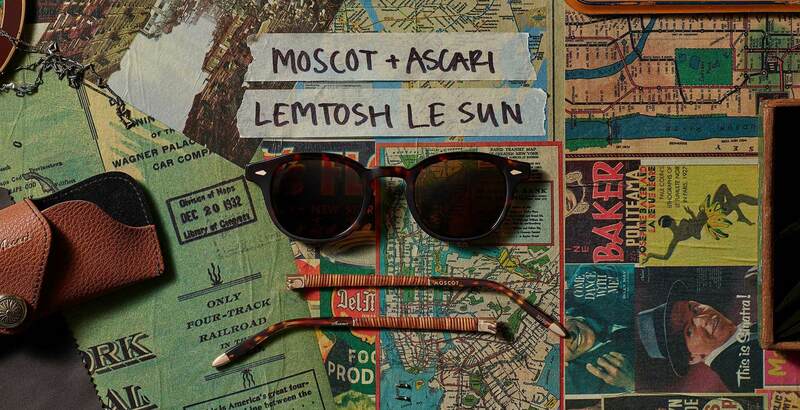 MOSCOT + Ascari present a limited reappraised version of The LEMTOSH Sun. With hand-wrapped leather at the temples, these frames embody luxurious craftsmanship. Model is wearing The MOSCOT + Ascari LEMTOSH LE SUN in 46 in Tortoise/Leather.